Architecture, usually historical, from the former Treaty Ports (and other leased territories) to the North and East of Tianjin. Captions normally refer to the building's former use. Inside The Dome, St. Sophia's Church, Ha'erbin. 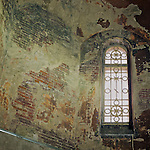 Interior Of St. Sophia's Church, Ha'erbin. Bell Tower, St. Aleksiev Church, Ha'erbin. 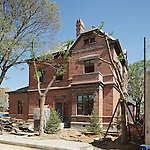 The Former Newchwang Club In Yingkou. Former Beancake Factory, Yingkou (Newchwang). 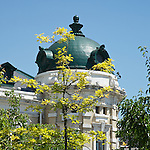 The Main Post Office, Dalian (Dalny/Dairen). Former Japanese Town Hall In Lushun (Port Arthur).